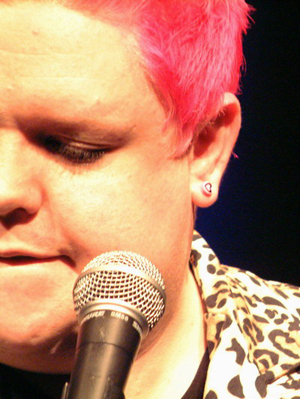 Wil Hodgson is fast establishing himself on the stand-up circuit as an original and unique voice. A former professional wrestler, Wil turned to stand-up a couple of years ago and hasn't looked back. Spinning hilarious and memorable yarns of bizarre West Country rednecks, care bears and big women, Wil is already a firm favourite with comedy promoters and audiences and is set to become a big name in the world of stand-up. 2003 - Part of the Amused Moose Comedy Hot Starlets showcase. Also appeared in John Oliver's eponymous solo show. 2004 - debut solo show, 'The Passion of the Hodgson', at the Holyrood Tavern. Part of the Big Value Early Show, also featuring Hils Barker, Seymour Mace and Mark Olver.